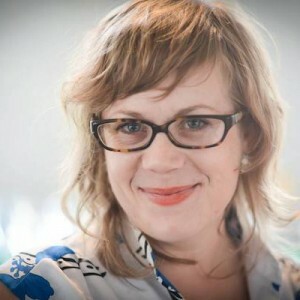 Jamie J. Hagen received her PhD from the University of Massachusetts Boston in the Global Governance and Human Security program in 2018. Her work at the intersection of gender, security studies and queer theory appears in a number of peer reviewed journals including International Affairs (2016), and Critical Studies in Security (2017). Jamie is the 2018-2019 ISA James M. Rosenau Post-Doctoral Fellow and an affiliated scholar at the Pembroke Center for Teaching and Research on Women at Brown University. The Colombia Peace marked the first time lesbian, gay, bisexual and transgender (LGBT) were officially included in the peace negotiations for responding to the injustices suffered during an armed conflict. This inclusion signals new possibilities for queering Women, Peace and Security (WPS), since the precedent has now been set for the inclusion of women's sexual orientation and gender identity within the WPS architecture. The aim of the eight Women, Peace and Security (WPS) United Nations Security Council resolutions, beginning with UNSCR 1325 in 2000, is to involve women in peacebuilding, reconstruction and gender mainstreaming efforts for gendered equality in international peace and security work. However, the resolutions make no mention of masculinity, femininity or the LGBTQ (lesbian, gay, bisexual, transgender and queer) population. Throughout the WPS architecture the terms ‘gender’ and ‘women’ are often used interchangeably. As a result, sexual and gender‐based violence (SGBV) tracking and monitoring fail to account for individuals who fall outside a heteronormative construction of who qualifies as ‘women’. Those vulnerable to insecurity and violence because of their sexual orientation or gender identity remain largely neglected by the international peace and security community. Feminist security studies and emerging queer theory in international relations provide a framework to incorporate a gender perspective in WPS work that moves beyond a narrow, binary understanding of gender to begin to capture violence targeted at the LGBTQ population, particularly in efforts to address SGBV in conflict‐related environments. The article also explores the ways in which a queer security analysis reveals the part heteronormativity and cisprivilege play in sustaining the current gap in analysis of gendered violence.